You may download, store, display on your computer, view, listen to, play and print Materials that Centre Stone Solutions publishes or broadcasts on the Site or makes available for download through the Site subject to the following: (a) the Materials may be used solely for your personal, informational, noncommercial purposes; (b) the Materials may not be modified or altered in any way; and (c) the Materials may not be redistributed. Community Services are provided as a convenience to users and Centre Stone Solutions is not obligated to provide any technical support for, or participate in, Community Services. While Community Services may include information regarding Centre Stone Solutions products and services, including information from Centre Stone Solutions LLC employees, they are not an official customer support channel for Centre Stone Solutions LLC. You may use Community Services subject to the following: (a) Community Services may be used solely for your personal, informational, noncommercial purposes; (b) Content provided on or through Community Services may not be redistributed; and (c) personal data about other users may not be stored or collected except where expressly authorized by Centre Stone Solutions. The Site and Content provided on or through the Site are the intellectual property and copyrighted works of Centre Stone Solutions or a third party provider. All rights, title and interest not expressly granted with respect to the Site and Content provided on or through the Site are reserved. All Content is provided on an “As Is” and “As Available” basis, and Centre Stone Solutions reserves the right to terminate the permissions granted to you in Sections 2, 3 and 4 above and your use of the Content at any time. You agree that you will only upload, share, post, publish, transmit, or otherwise make available (“Share”) on or through the Site Content that you have the right and authority to Share and for which you have the right and authority to grant to Centre Stone Solutions all of the licenses and rights set forth herein. By Sharing Content, you grant Centre Stone Solutions a worldwide, perpetual, royalty-free, irrevocable, non exclusive, fully sublicensable license to use, reproduce, modify, adapt, translate, publish, publicly perform, publicly display, broadcast, transmit and distribute the Content for any purpose and in any form, medium, or technology now known or later developed. This includes, without limitation, the right to incorporate or implement the Content into any Centre Stone Solutions product or service, and to display, market, sublicense and distribute the Content as incorporated or embedded in any product or service distributed or offered by Centre Stone Solutions without compensation to you. You warrant that: (a) you have the right and authority to grant this license; (b) Centre Stone Solutions exercise of the rights granted pursuant to this license will not infringe or otherwise violate any third party rights; and (c) all so-called moral rights in the Content have been waived to the full extent allowed by law. You agree that you will neither use the Site in a manner, nor Share any Content, that: (a) is false or misleading; (b) is defamatory, derogatory, degrading or harassing of another or constitutes a personal attack; (c) invades another’s privacy or includes, copies or transmits another’s confidential, sensitive or personal information; (d) promotes bigotry, racism, hatred or harm against any group or individual; (e) is obscene or not in good taste; (f) violates or infringes or promotes the violation or infringement of another’s rights, including intellectual property rights; (g) you do not have the right and authority to Share and grant the necessary rights and licenses for; (h) violates or promotes the violation of any applicable laws or regulations; (i) contains a solicitation of funds, goods or services, or promotes or advertises goods or services; or (j) contains any viruses, Trojan horses, or other components designed to limit or harm the functionality of a computer. Centre Stone Solutions may report you to the relevant authorities and may act under the fullest extent of applicable laws if you transmit or upload content intended or designed to cause harm. You agree not to access or use the Site in any manner that could damage, disable, overburden, or impair any Centre Stone Solutions accounts, computer systems or networks. You agree not to attempt to gain unauthorized access to any parts of the Site or any Centre Stone Solutions accounts, computer systems or networks. You agree not to interfere or attempt to interfere with the proper working of the Site or any Centre Stone Solutions accounts, computer systems or networks. You agree not to use any robot, spider, scraper or other automated means to access the Site or any Centre Stone Solutions accounts, computer systems or networks without Centre Stone Solutions express written permission. Centre Stone Solutions has no obligation to monitor the Site or screen Content that is Shared on or through the Site. However, Centre Stone Solutions reserves the right to review the Site and Content and to monitor all use of and activity on the Site, and to remove or choose not to make available on or through the Site any Content in its sole discretion. Centre Stone Solutions may remove Content that is confidential or proprietary to a third party without that third party’s permission. Centre Stone Solutions may, in its sole discretion, at any time discontinue providing or limit access to the Site, any areas of the Site or Content provided on or through the Site. You agree that Centre Stone Solutions may, in its sole discretion, at any time, terminate or limit your access to, or use of, the Site or any Content. Centre Stone Solutions may terminate or limit your access to or use of the Site if Centre Stone Solutions determines, in its sole discretion, that you have infringed the copyrights of a third party. You agree that Centre Stone Solutions shall not be liable to you or any third-party for any termination or limitation of your access to, or use of, the Site or any Content, including Content that you may have Shared. The Site provides links to Web sites and access to Content, products and services of third parties, including users, advertisers, affiliates and sponsors of the Site. Centre Stone Solutions is not responsible for third party Content provided on or through the Site or for any changes or updates to such third party sites, and you bear all risks associated with the access to, and use of, such Web sites and third party Content, products and services. EXCEPT WHERE EXPRESSLY PROVIDED OTHERWISE, THE SITE, AND ALL CONTENT PROVIDED ON OR THROUGH THE SITE, ARE PROVIDED ON AN “AS IS” AND “AS AVAILABLE” BASIS. CENTRE STONE SOLUTIONS EXPRESSLY DISCLAIMS ALL WARRANTIES OF ANY KIND, WHETHER EXPRESS OR IMPLIED, INCLUDING, BUT NOT LIMITED TO, THE IMPLIED WARRANTIES OF MERCHANTABILITY, FITNESS FOR A PARTICULAR PURPOSE AND NON-INFRINGEMENT WITH RESPECT TO THE SITE AND ALL CONTENT PROVIDED ON OR THROUGH THE SITE. CENTRE STONE SOLUTIONS MAKES NO WARRANTY THAT: (A) THE SITE OR CONTENT WILL MEET YOUR REQUIREMENTS; (B) THE SITE WILL BE AVAILABLE ON AN UNINTERRUPTED, TIMELY, SECURE, OR ERROR-FREE BASIS; (C) THE RESULTS THAT MAY BE OBTAINED FROM THE USE OF THE SITE OR ANY CONTENT PROVIDED ON OR THROUGH THE SITE WILL BE ACCURATE OR RELIABLE; OR (D) THE QUALITY OF ANY CONTENT PURCHASED OR OBTAINED BY YOU ON OR THROUGH THE SITE WILL MEET YOUR EXPECTATIONS. ANY CONTENT ACCESSED, DOWNLOADED OR OTHERWISE OBTAINED ON OR THROUGH THE USE OF THE SITE IS USED AT YOUR OWN DISCRETION AND RISK. CENTRE STONE SOLUTIONS SHALL HAVE NO RESPONSIBILITY FOR ANY DAMAGE TO YOUR COMPUTER SYSTEM OR LOSS OF DATA THAT RESULTS FROM THE DOWNLOAD OR USE OF CONTENT. CENTRE STONE SOLUTIONS RESERVES THE RIGHT TO MAKE CHANGES OR UPDATES TO, AND MONITOR THE USE OF, THE SITE AND CONTENT PROVIDED ON OR THROUGH THE SITE AT ANY TIME WITHOUT NOTICE. IN NO EVENT SHALL CENTRE STONE SOLUTIONS BE LIABLE FOR ANY DIRECT, INDIRECT, INCIDENTAL, SPECIAL OR CONSEQUENTIAL DAMAGES, OR DAMAGES FOR LOSS OF PROFITS, REVENUE, DATA OR DATA USE, INCURRED BY YOU OR ANY THIRD PARTY, WHETHER IN AN ACTION IN CONTRACT OR TORT, ARISING FROM YOUR ACCESS TO, OR USE OF, THE SITE OR ANY CONTENT PROVIDED ON OR THROUGH THE SITE. Statements set forth in the Site may constitute forward-looking and cautionary statements within the meaning of the Private Securities Litigation Reform Act of 1995 or other applicable laws. While these forward-looking statements represent our current judgment on what the future holds, they are subject to risks and uncertainties that could cause actual results to differ materially. You are cautioned not to place undue reliance on these forward-looking statements, which reflect our opinions only as of the date such statements are set forth in the Site. Please keep in mind that we are not obligating ourselves to revise or publicly release the results of any revision to these forward-looking statements in light of new information or future events. You should also review our most recent Form 10-K and Form 10-Q for a more complete discussion of these factors and other risks, particularly under the heading “Risk Factors.” A copy of our press release and financial tables which include a GAAP to non-GAAP reconciliation can be viewed and downloaded on the Centre Stone Solutions Investor Relations website at CentreStoneSolutions.com. Information on the Site may reference or cross-reference Centre Stone Solutions products, programs, or services that might not be available in your location. Such references do not imply that Centre Stone Solutions plans to make such products, programs, or services available in your location. Please contact your local Centre Stone Solutions representative for more information. All matters relating to your access to, and use of, the Site and Content provided on or through or uploaded to the Site shall be governed by U.S. federal law or the laws of the State of Florida. Any legal action or proceeding relating to your access to, or use of, the Site or Content shall be instituted in a state or federal court in Sanford Orlando. You and Centre Stone Solutions agree to submit to the jurisdiction of, and agree that venue is proper in, these courts in any such legal action or proceeding. Copyright© 2014 Centre Stone Solutions and/or its affiliates. All rights reserved. 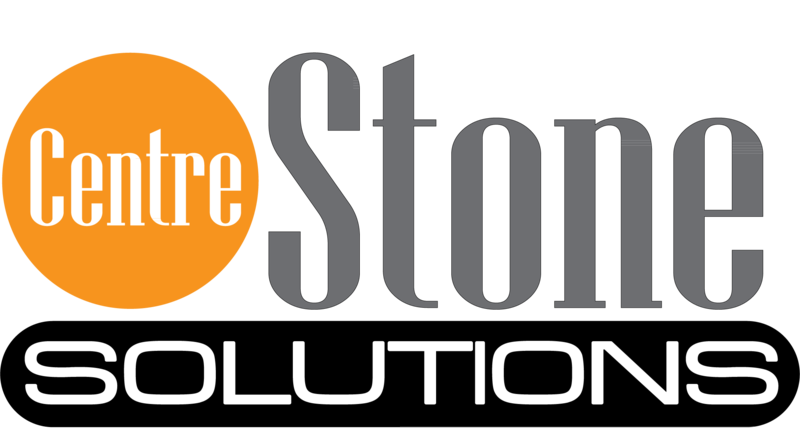 Centre Stone Solutions are registered trademarks of Centre Stone Solutions and/or its affiliates. Other names appearing on the Site may be trademarks of their respective owners. For information on making claims of copyright infringement, contact info@centrestonesolutions.com. Unauthorized copying, distribution, modification, public display, or public performance of copyrighted works may be an infringement of the rights of the copyright owner. You agree that you will not use the Site or any Centre Stone Solutions site to infringe Centre Stone Solutions Intellectual Property rights or the Intellectual Property rights of others. You may not remove, deface, or overprint any notice of copyright, trademark, logo, or other notice of ownership from any originals or copies of Centre Stone Solutions software, third party software, or any products or Content you access on or through Centre Stone Solutions Sites.